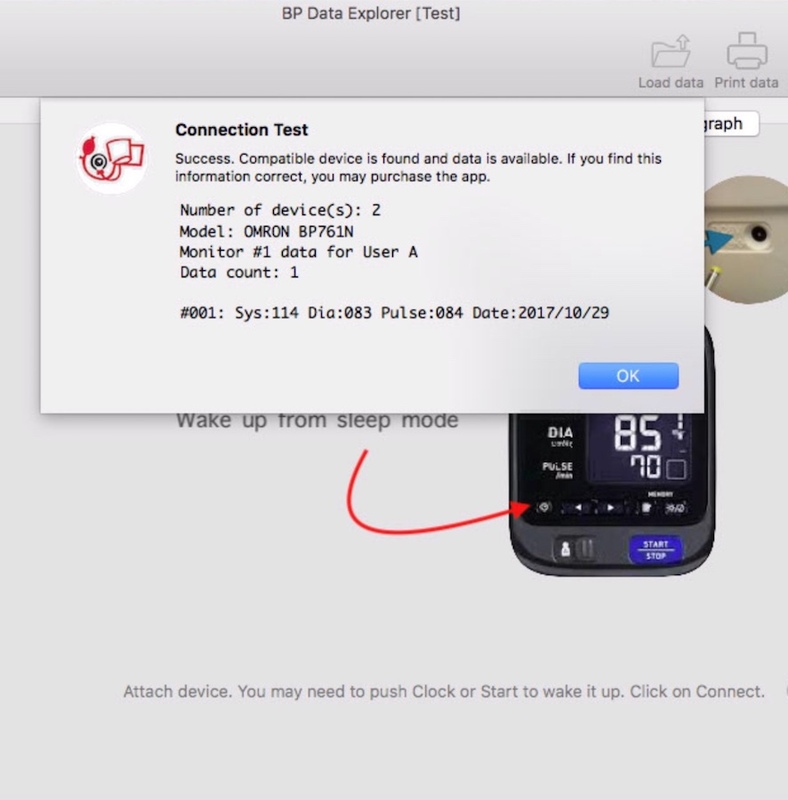 BP Data Explorer is a data reader, data converter and file exporter Apple® macOS® application for USB and Bluetooth connected blood pressure monitors. 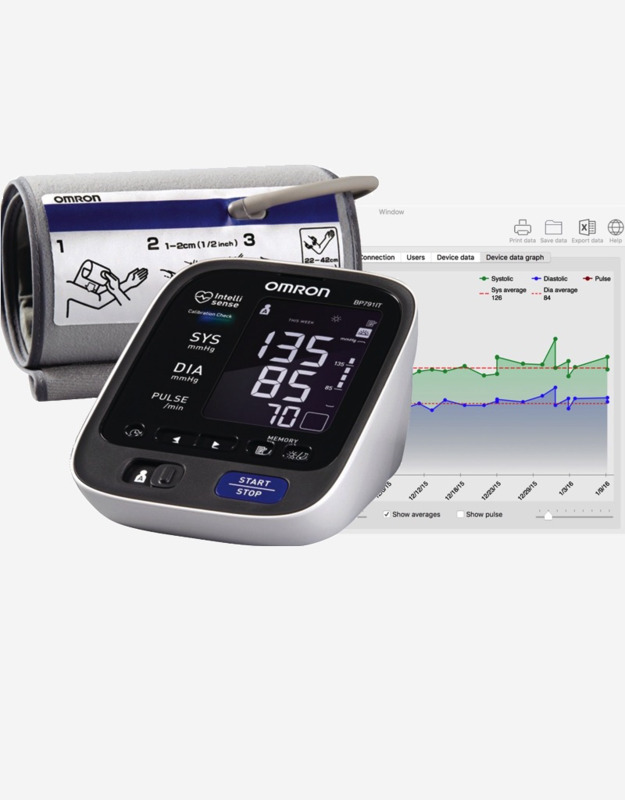 Compatible with Bluetooth Smart Connectivity® monitors, Omron™ US version BP 791IT, BP 653, 654, 761 and 786. 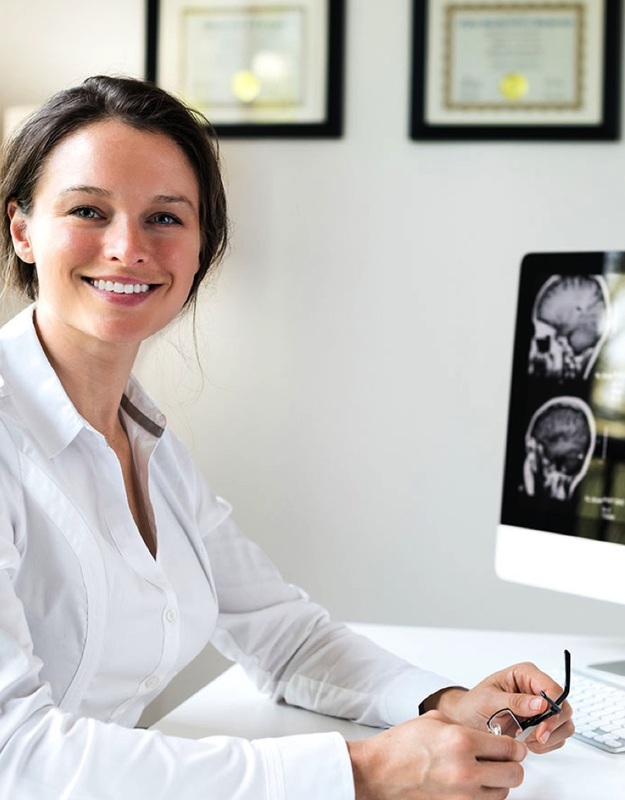 Device data can be read, saved and exported to almost any health care information system. 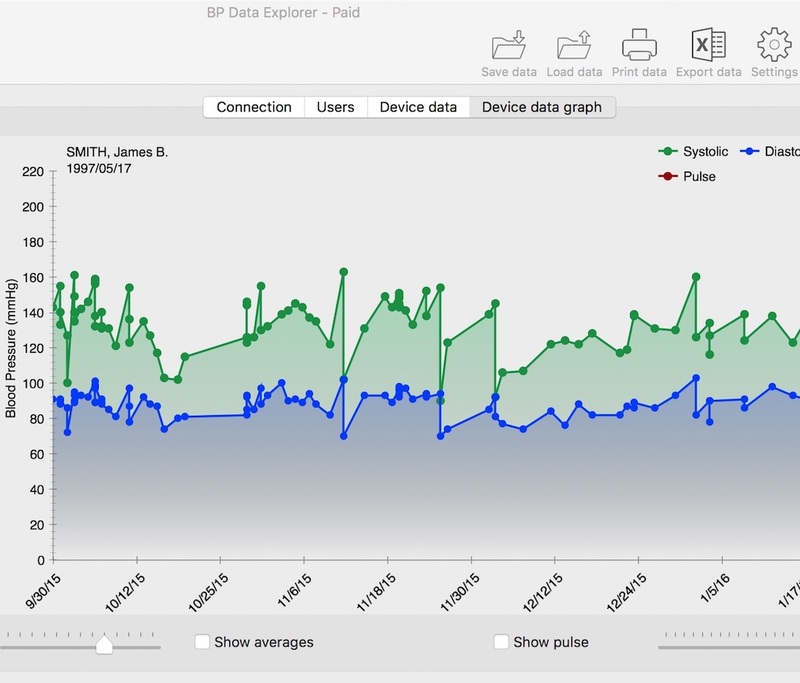 BP Data Explorer is developed and maintained by Weston Digital Solutions™. Current version is 2.1. (Late 2017). Available for free download from Apple AppStore. Full features require In-App purchase. Data reading from blood pressure monitors. Two devices can be attached at the same time. Assigning profiles to user selection switches for each devices. Saving device data to your local disk by merging with your existing archive. Previous readings will not be lost. There is no 100 record limit on archive. Exporting device data to external files in CSV, TXT, HTML or CCR format. Presenting data in grid and graph. View, print and export your archive. Free Bluetooth and USB connections and compatibility test. Bluetooth interface: OMRON BP 653, 654, 761, 786. OMRON BP 786 is recommended. US versions are tested only. Buy it from Amazon or from other retailers. There are some not compatible versions on the markets under the very same product name. See detailed compatibility list below. Download or update "BP Data Explorer" through Mac AppStore. It is free to be able to test compatibility without blindly spending money. In-App purchase option is available to unlock read and archive functionality. Applications you buy from Apple are tied to your Apple ID. BP Data Explorer can also be installed on more than one Macs. Follow the on-screen instructions to open the application package and install it. The application configures itself. After opening the app, do not forget to enable Bluetooth (BT) or USB to be able to read your blood pressure monitor(s). 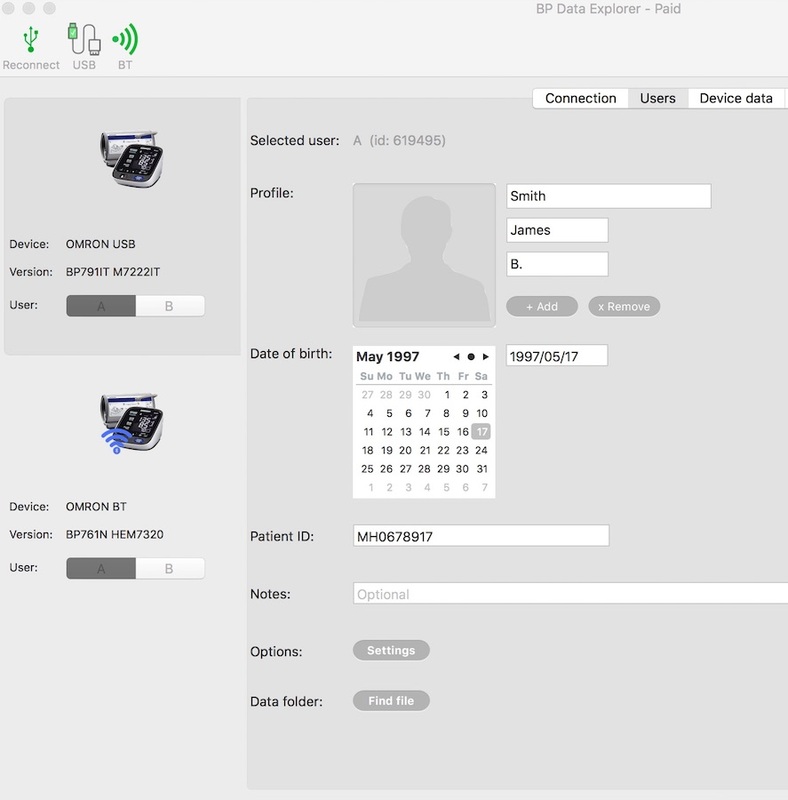 When using BT monitor at the first time, pair your device with the application. Click on Connect and Pair. You can test your device compatibility and connections by pushing the BT and/or USB toolbar buttons. BP Data Explorer does not require configuration. Options of device recovery and free connection tests are available in the main menu 'File' and in the 'Settings' dialog box. Enable (✓) at least one interface. BP Data Explorer is a secure sandboxed app, that ensures that it does only what it is intended to do. Sandboxing isolates apps from the critical system components of your Mac. All device data is saved to the application’s sandbox. Power up your blood pressure monitor. If it's in sleep mode, you must wake it up. Different devices behave different ways, please consult the manual what to do. Typical cause of connection errors is derived from this sleep mode. When a BT or USB device is ready for a remote connection, usually a running O or a spin ball appears on its screen. When using USB monitor, attach the device with a good cable directly to the Mac. When the app can't see the device, in some cases, you need to detach and reconnect it to reset interfaces and wake the device up. 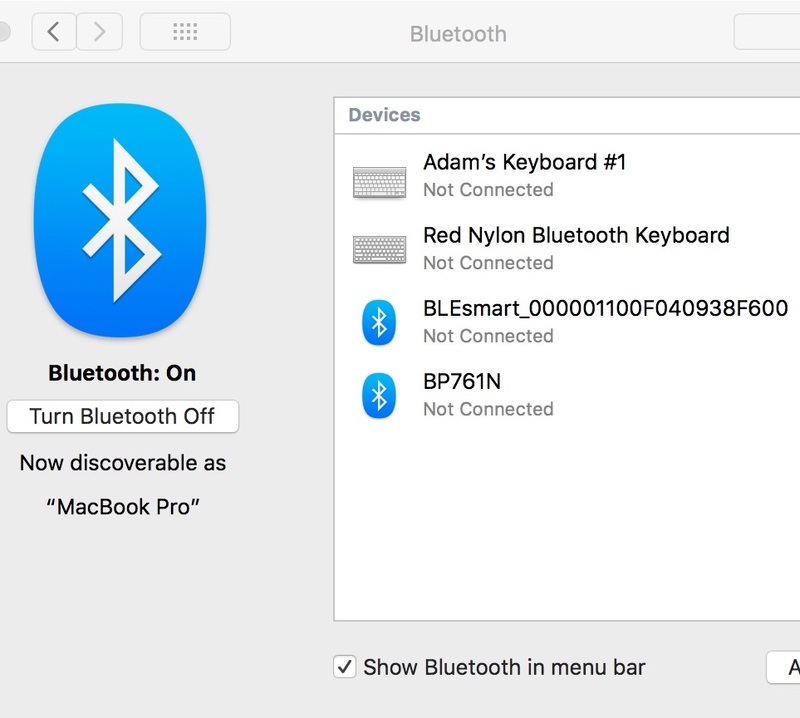 Bluetooth monitors should be placed next to your Mac within 1 m (2-3 feet). At the first time, when the device is successfully identified, you must pair it with the app. On the "Pairing request" message box click on the Pair button. 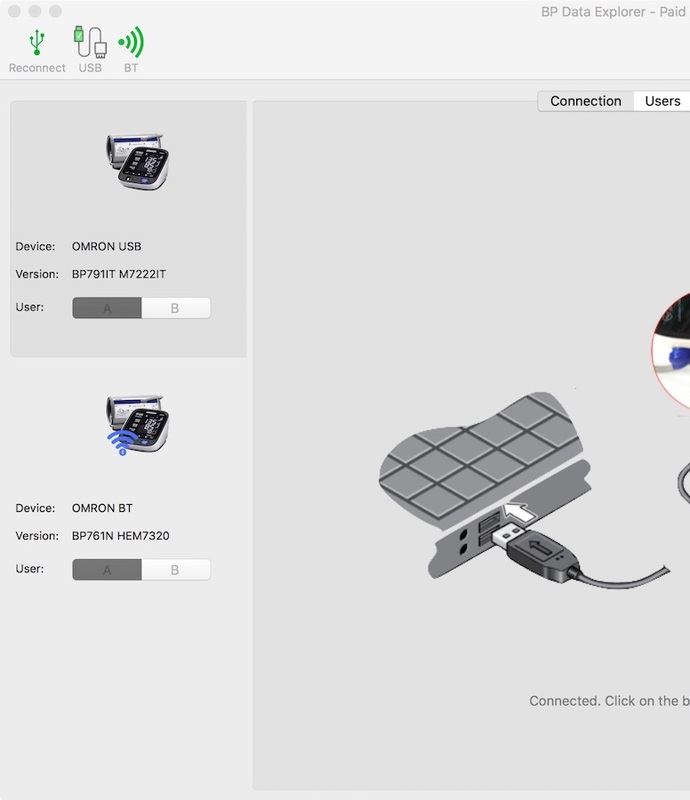 Click on the app's USB and BT test tool bar buttons to check out connections and compatibility. Use Connect function to read data. Connection progress messages will pop up. It takes about a minute to read all data. On the left side column all detected monitors will be listed. Select one to see and save its data. In-App purchase is required to fully read devices and archive data. Individual profiles can be set to user "A" and "B" of the selected monitor. Profiles are stored on your Mac. User info is shown on the exported and printed data sheets. Under the Users tab, set family name, first name and middle name (if any) and date of birth. You can add a profile image for printouts. Customize optional field patient id and notes. Type in any additional info you may need on the printed or exported reports. Don't forget about saving the actual device data. It automatically saves profiles as well. Save data function is available in the toolbar and under the tab of Device data. Select monitor and A or B user from the left sidebar. 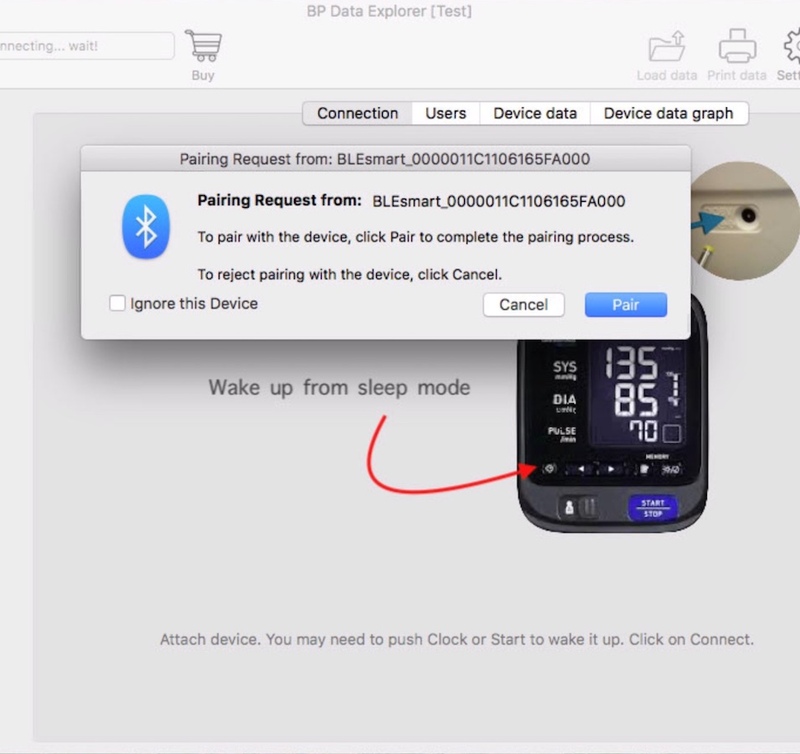 Blood pressure data in table format is available under the tab of Device data. Graph is generated from this table and can be seen under tab Device data graph. Click on the Save data button to copy your readings to the sandbox Documents folder. New data is merged with the existing archive. Older data will not be lost. 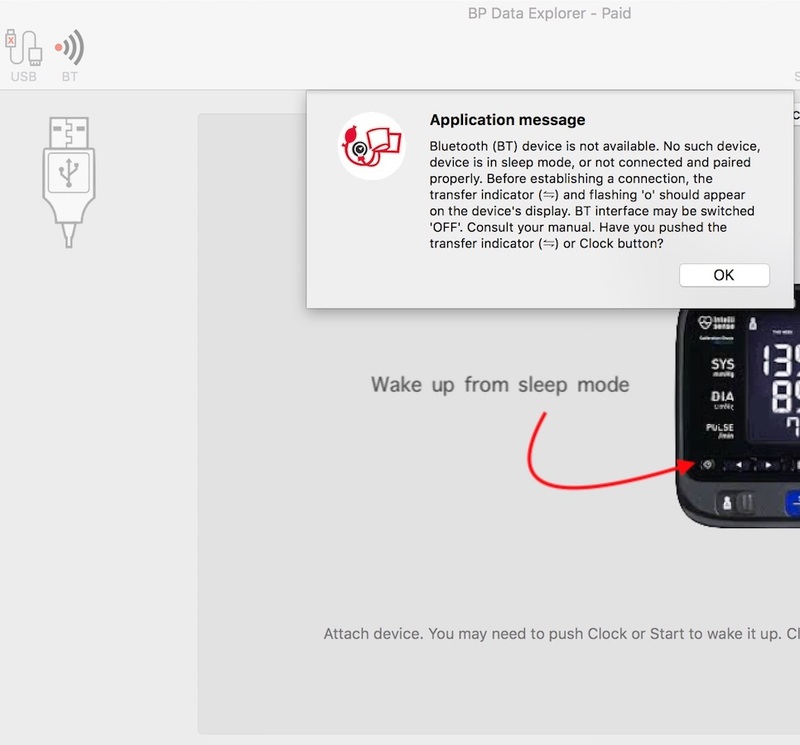 BP Data Explorer overrides storage limitations of your blood pressure monitor with its own archive. Export device data to a file by clicking on Export data. Use file name with .csv, .txt, .html, .ccr or .pdf extension. Print out the data by clicking on the Print data icon in the Toolbar. You can open and reload database at any time. The default format of data archive and exported files is XML and CSV. Each device and user has separated records. The latest (2.0) version, at the update process, automatically tries to import all previous profile and data to ensure compatibility. 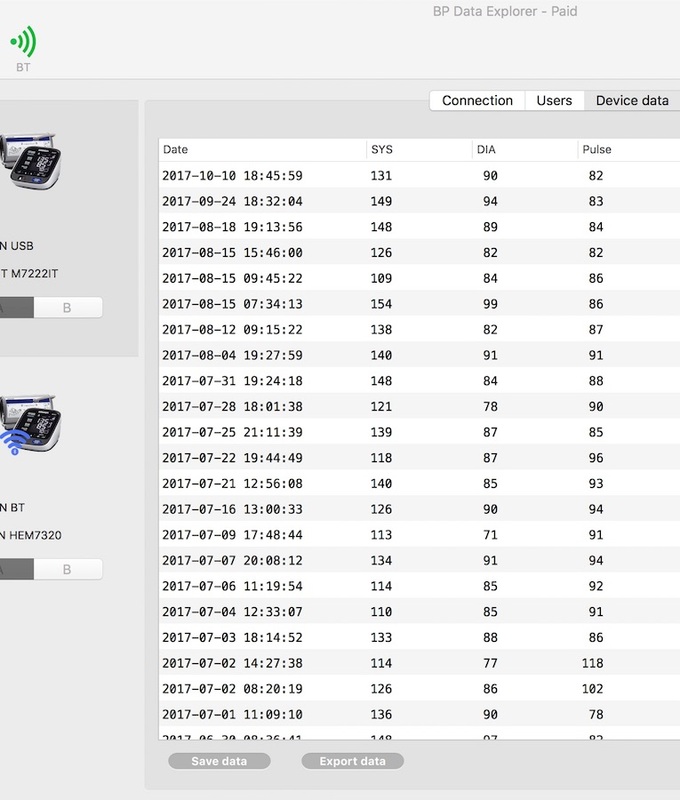 Click on the tab of Device data graph to see the monitor data in a graph view. Select Show averages to add average lines. Select Show pulse to add pulse data to the graph. By changing the first and last date of the shown data by sliders, the app skips the data of the older or later regions. Our app is free for download. In the App Store it has a Get button. You won't be charged for downloading. In In-App purchases, some or all of the features of applications might require you to make a one time or recurring payments (subscriptions). Our app requires a one-time purchase. The free part of the application let you test device compatibility and reliability of bluetooth and USB interfaces. Click on the BT or USB icon on the tool bar to see if your device is detected or not, or try to 'Read' from the device(s) immediately. If the app can find your monitor and can read from it, a dialog message will pop up. You can transfer our paid application to other devices that are associated with your Apple ID. If you lose this non-consumable purchase, you might be able to download it again for free. Buyers of previous application versions may require vouchers from us to have a free upgrade. Returning customers please contact us. If your device is not on the list please let us know the product name, model number and for bluetooth devices the BLE broadcast (advertisement) identity. © Copyright Weston Digital Solutions. All rights reserved. Webmaster: WDS. Entering this web site expose you to content that you may consider inappropriate, offensive, indecent, or objectionable to you. Viewer discretion is advised. By clicking the Accepted button, you certify that you are at least 18 years of age (21 in some states), have read the above warning and it is legal for you to view these material in your area.